He’s not holding back on anyone. “I think he lives there,” Barry Bennett, a former Trump campaign adviser, told Business Insider. Trump loves to be “on the trail and connecting with real people” and prizes the opportunity to “bypass the media and speak to the public directly,” Ruddy said. “The president never stopped his last campaign!” Ruddy said. 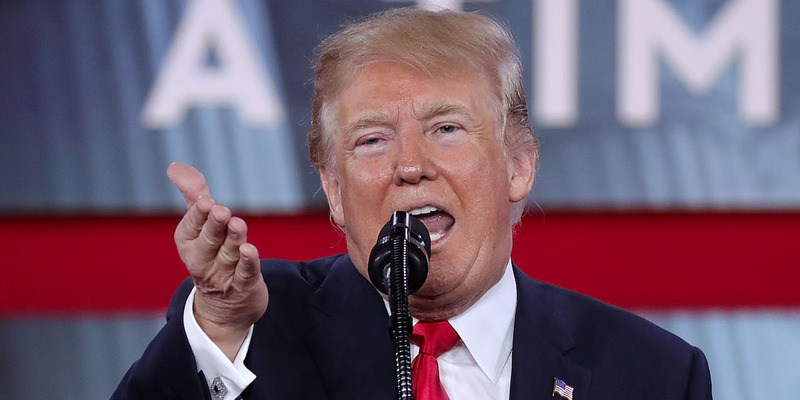 Trump will get his fix on the campaign trail Saturday, when he heads to Pennsylvania’s closely watched 18th Congressional District to campaign for Republican candidate Rick Saccone. He is facing off against Democrat Conor Lamb in Tuesday’s special election. 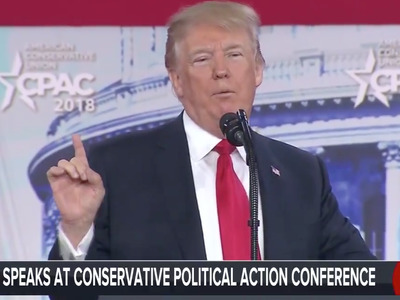 It’s a theme that has continued since “campaign Trump” broke out in a speech to the Conservative Political Action Conference late last month. In that speech, delivered in his familiar, freewheeling, style, he labelled 2016 Democratic presidential nominee Hillary Clinton a “crooked candidate” who failed to campaign in key swing states. The riff led to attendees chanting “Lock her up,” a common refrain of the campaign. He also attacked another individual who he notably criticised early in the campaign: Republican Sen. John McCain of Arizona. McCain, who is battling brain cancer, came under Trump’s crosshairs for his thumbs-down vote on a Republican bill to replace the Affordable Care Act this summer. Then, like in many of his campaign rallies, he offered up his reading of “The Snake,” a decades-old soul hit that he’s long used as an analogy to US policies on taking in refugees and immigrants. The following day, Trump did something he was known for in his campaign, but has continued as president – call in to a cable news show. Trump gave Fox News host Jeanine Pirro a ring late on Saturday and provided an extensive interview with her. He spoke about the House Intelligence Committee memos, complained about Democrats, and blasted the ongoing investigation into Russian election interference. The following week, Trump made a campaign-style promise and, in another campaign theme, somewhat stepped on his own message, saying that he would have run into the Florida high school during a mass shooting. “I really believe I’d run in there even if I didn’t have a weapon,” Trump said at a meeting with state governors. Later in the week, Trump revived what was commonplace during his presidential campaign just days after his pledge to enter the high school during the shooting – attacking Republicans to their face on camera. Alex Wong/Getty ImagesTrump, Dianne Feinstein, and Marco Rubio. It was in that same meeting that Trump expressed a desire to “take the guns first, go through due process second” when discussing the availability of firearms to people with mental illness. 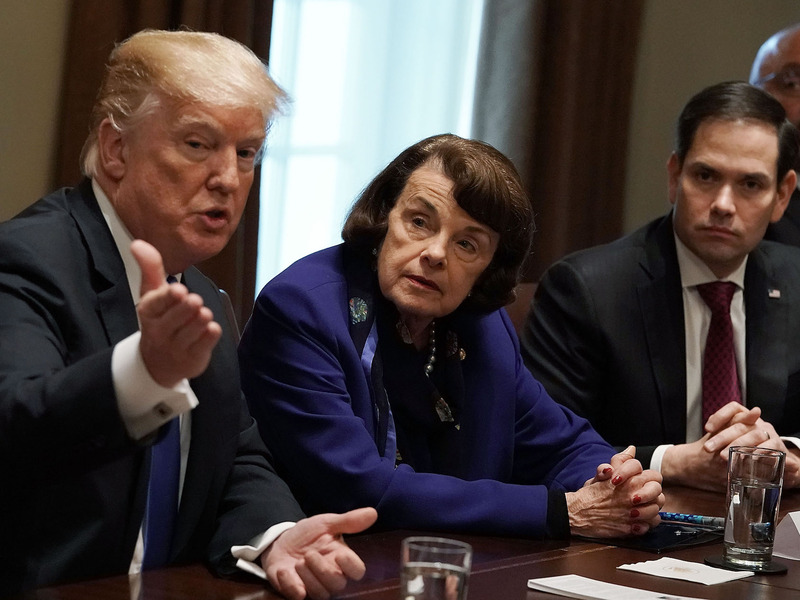 The comment sent shockwaves through Capitol Hill and in the media, though the NRA said Trump fully backed gun control and strong due process measure after a private meeting with him the following day. Trump’s also been homing in on new nicknames, another feature of the presidential campaign. It was reported by The Washington Post last week after Trump again blasted Attorney General Jeff Sessions that he apparently calls him “Mr. Magoo.” During a joke-filled speech to the Gridiron Club, a charitable journalistic organisation, at its annual dinner, Trump made reference to “Sleepy Joe” Biden, who may very well end up as his Democratic opponent in 2020. Trump then took the remarks a step further, suggesting that he would “kick his arse,” referencing a past comment Biden made about wanting to fight the then-Republican presidential nominee. Trump transitioned into ripping billionaire media mogul Oprah Winfrey, who is rumoured to be considering a 2020 presidential bid of her own.